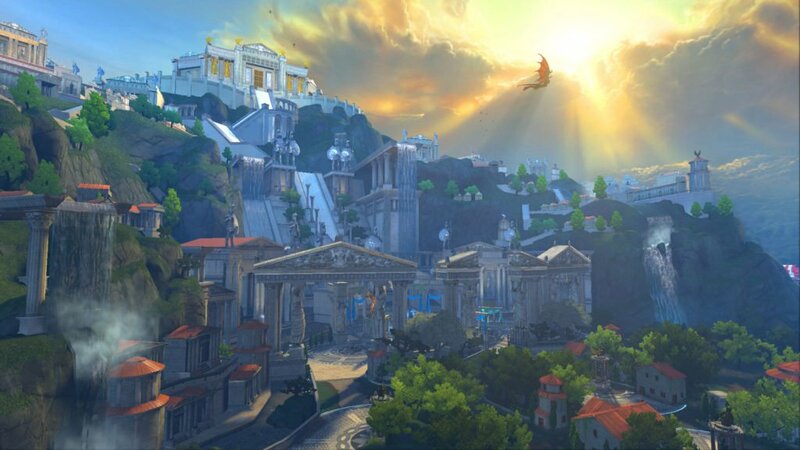 SMITE is a free to play online 3D MOBA, by Hi-Rez Studios. Featuring some very well defined mechanics, distinguishing the title from the competition; players select their ancient mythical God, like Odin, Ra, Loki, Zeus, Thor and Hades among the vast expanding pool of available figures and engage into fierce Godly battles and attacks on a 1×1, 3×3 or 5×5 team based battle arena fighting to destroy the opposing team’s Titan. The online PVP modes are plenty, providing various gameplay options and giving the needed multiplayer variance and competitive flavor. The third person camera view creates a completely fresh approach of gameplay.Instead of using the traditional over the top angle of other MOBA games, the new viewpoint and the movement inside the arena, by using the keyboard WASD keys, feels greatly detailed and satisfying, providing players with an ease of use and a great level of engagement as they are positioned closer to where the combat’s action takes place and every move or attack demands more attention and precision to be successful. The unique voice guided system also helps to put players deeper into the action as by exploiting it you will be able to communicate faster with your team members and send command messages by using your voice. Graphics and sounds are also well designed and nicely tied together, creating a great atmosphere and customization options are mainly centered around skins and bonus items earned after completing certain quests. Overall, SMITE is a highly competitive game with tournaments held at a global level between professional teams. It is definitely worthy of your attention as it is an exceptional effort providing high quality features and fresh elements.